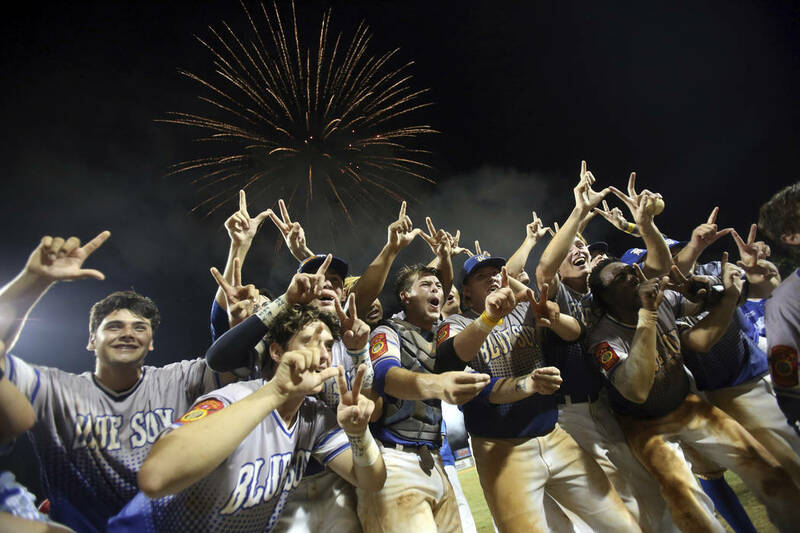 The Southern Nevada Blue Sox, comprised mostly of players from Basic High School, defeated Creighton Prep (Nebraska) 2-1 Tuesday to win the American Legion World Series baseball tournament in Shelby, North Carolina. The Southern Nevada Blue Sox defeated Creighton Prep (Nebraska) 2-1 Tuesday to win the American Legion World Series tournament in Shelby, North Carolina. The Blue Sox are the first Nevada team to capture the title since the Southern Nevada Titans (Bishop Gorman) in 2008. The team is comprised mostly of players from Basic High School, which has won the last two Class 4A state championships. Southern Nevada (57-9) fell 9-1 to Creighton Prep in the first game of the World Series on Friday, the only game all tournament in which the Blue Sox allowed more than three runs. Creighton Prep (57-6) struck in the first inning on a double and two sacrifice flies. After that, Blue Sox starter Shane Spencer settled in nicely. He tossed a complete game, firing seven innings and giving up just three hits. He struck out six batters and walked two. The Blue Sox scored in the third after Jack Wold ripped a two-out double down the right-field line that missed being a home run by a few feet. Jesse Fontaboa walked, then Garrett Giles singled in Wold to tie the game. The game remained at 1-1 until the sixth inning. JJ Smith opened with a single to left field, stole second and advanced to third on a wild pitch. Two batters later, Nick Thompson, the offensive and pitching star from Monday’s semifinal game, drilled a sacrifice fly to center to put the Blue Sox ahead. Spencer did the rest. He got a groundout to start the bottom of the seventh, then struck out the second batter of the inning. He induced a ground ball to Giles at third base, and once the throw hit the back of Wold’s glove, the Blue Sox were national champions. The Blue Sox struggled in pool play of the tournament, scoring just two runs in three games and giving up 10. 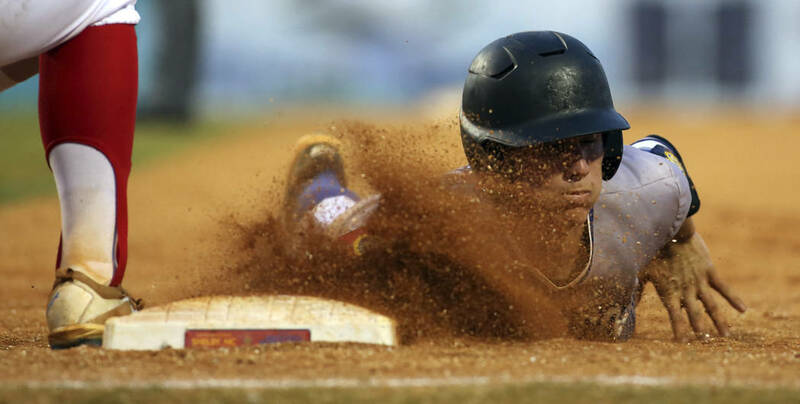 But a runs-allowed against common opponents tiebreaker decided the three-way tie for second place of their pool, and the Blue Sox got a second chance. Their bats finally came alive Monday, when they beat Bryant (Arkansas) 7-3 in extra innings to advance to the title game. Contact Justin Emerson at jemerson@reviewjournal.com or (702) 387-2944. Follow @J15Emerson on Twitter.